Sorry they are so late but I finally got my pictures uploaded to photobucket so I could post them on here. 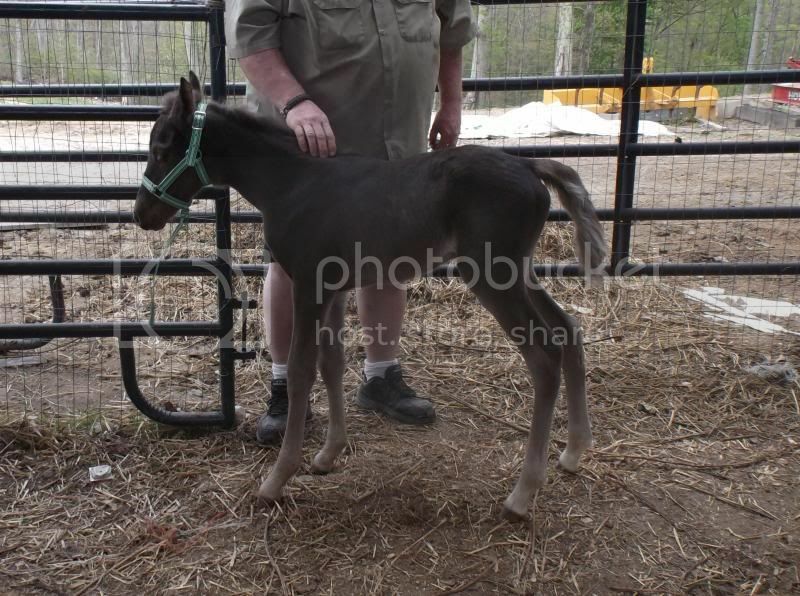 Introducing Diva, foaled May 2, to our mare Peppermint Pattie and sired by Remington's East. She is a cutie and very loveable. I am surprised how friendly she is and very accepting of being haltered, picking her feet up, and putting a blanket on her and rubbing her all over with a water bottle. She is going to be a good one! Very nice, Kim and I can see already that she is built for gaiting. Haha, yes finally a filly! 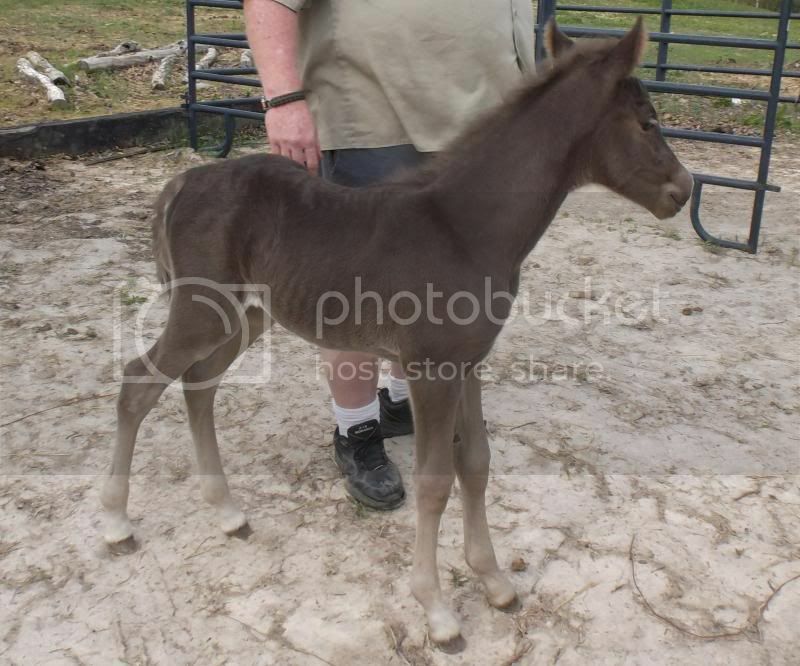 We have only had 1 other filly and she was a pretty red chocolate. 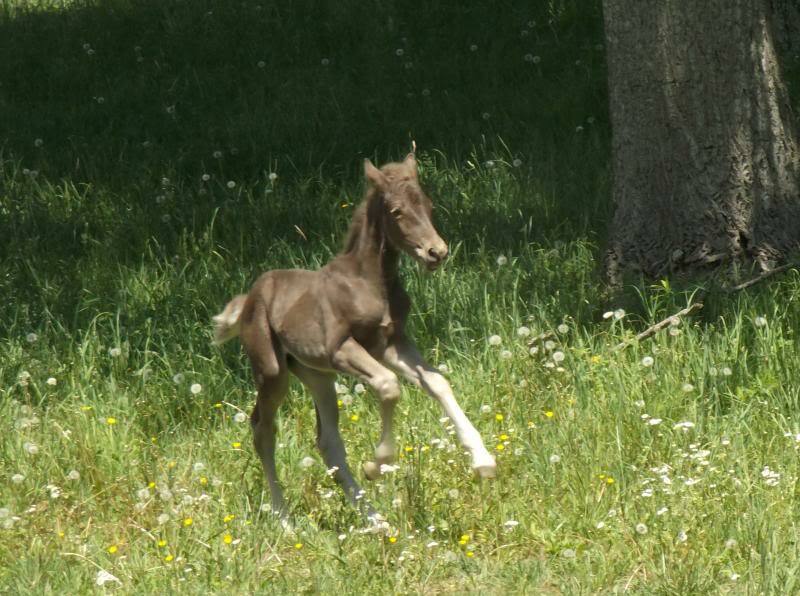 I was very excited to have a filly. 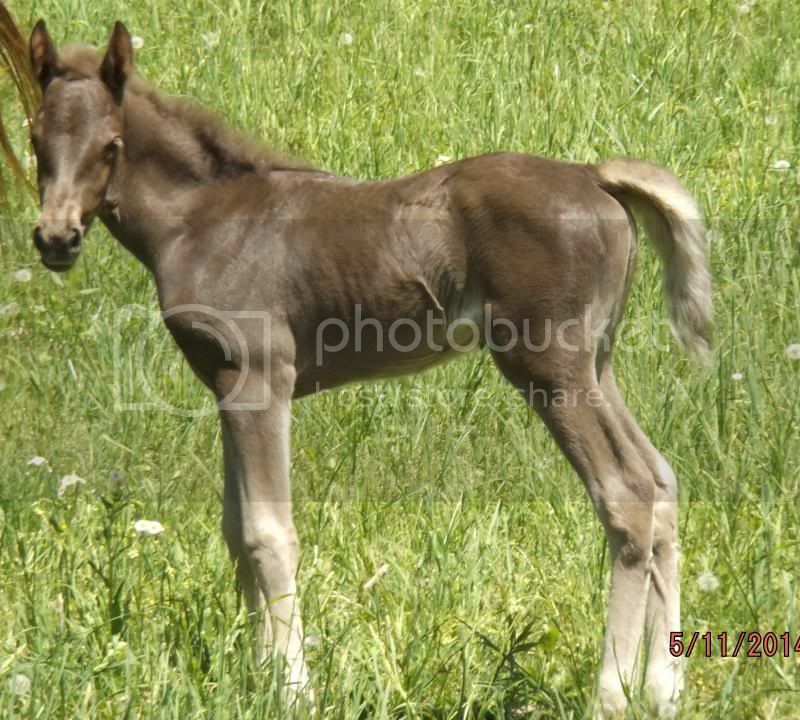 I suspected it might be as she was holding out on us and usually Prissy has her foals before we think she will! 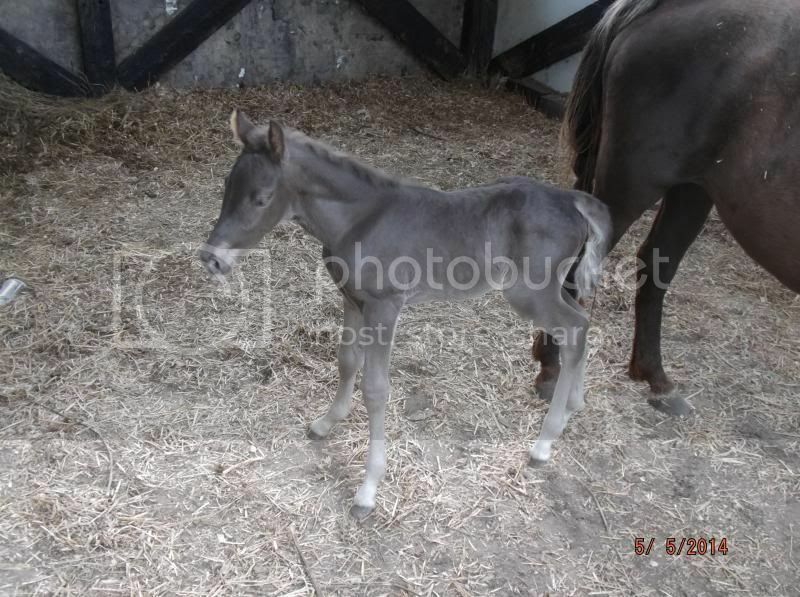 This time I had been prepared for 2 weeks before she foaled! She does have a nice gait already. I have a small video where you can see her gait several times in it. I will have to upload it soon. she is adorable! I am glad you finally gave us pictures! Life is short, buy the pony! Awwww.....precious! Can't wait t see the video once you upload it. 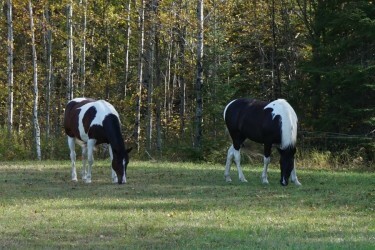 Melissa, Southern California.....hitting the trails with Jex my Tennessee Walking Horse...soon. Kim, Diva is a doll! So well put together and what a cute face. LOVE THAT DAINTY LITTLE MUZZLE! !Can't wait to see your video and more pictures. I am so looking forward to watching Diva grow up right here on GHS! A few more updated pictures taken last two weeks or so. This girl is such a sweetie! A hunk of meat and two potatoes! Midnight Rendezvous (Kate) 3 yo MFT mare. I need to get it on here. She was gaiting real good beside mom this evening but didn't have phone or video with me. 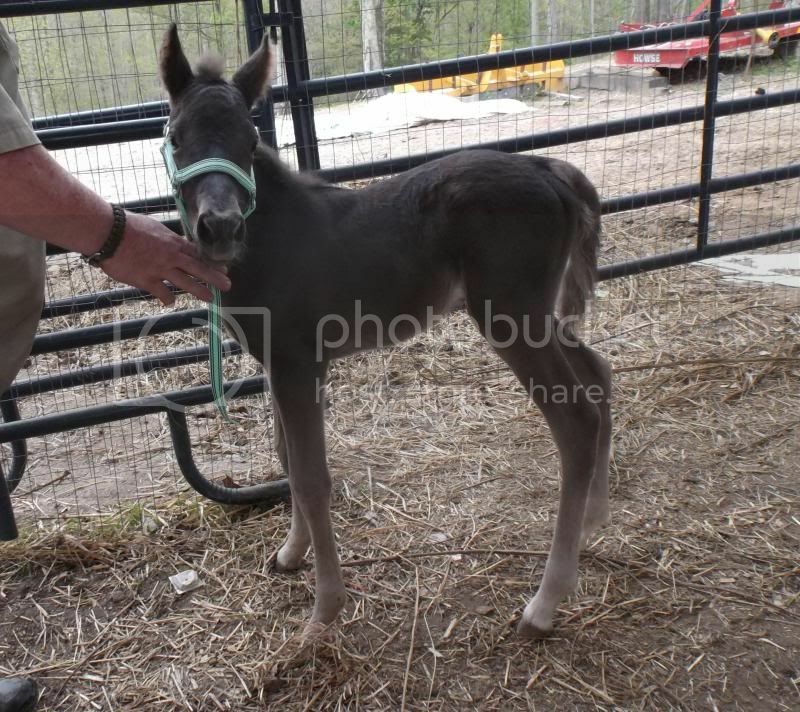 This foal has a really nice conformation. 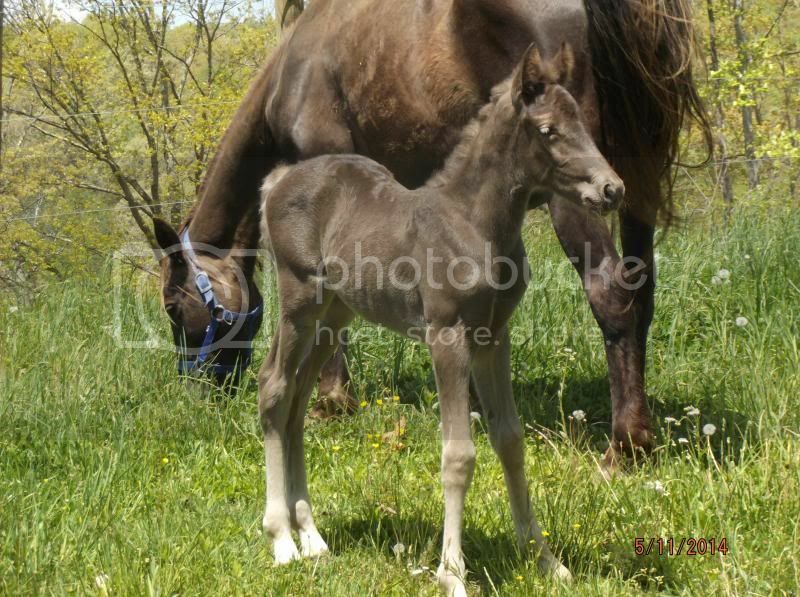 I bet she will gait nicely, and will have a great temp since you love to raise and work with babies. I would love to raise another baby up to ride. Hmmm. Looks like she has really grown since the first pictures.